The first book “Lady Almina and the Real Downton Abbey”, tells the extraordinary story of life before, during and after the First World War. 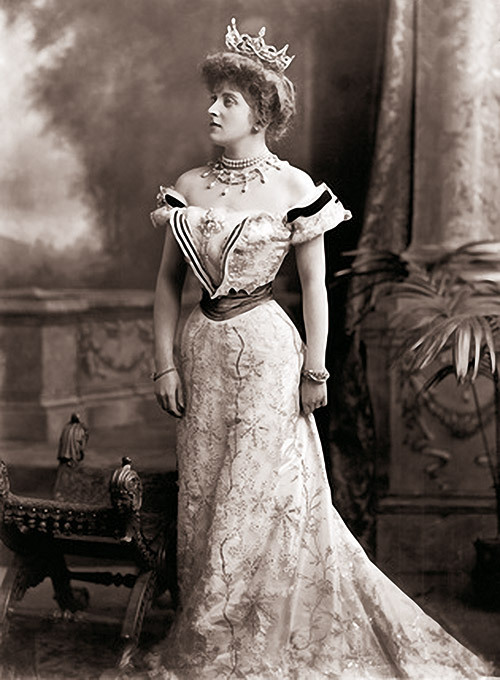 Just 19 when she married the 5th Earl, Almina was actually the illegitimate daughter of Alfred de Rothschild. She arrived with a stupendous dowry and the book moves on to uncover many fascinating stories on life, both upstairs and downstairs, at the Castle during Edwardian times. She attended the funeral of Queen Victoria, the coronation of Edward VII and all the other grand and royal events. Life changed in August 1914 when the First World War broke out and Almina rolled up her sleeves, turned Highclere Castle into a hospital and began to admit patients coming back from the trenches. The stories of the men whose lives and limbs she saved are moving and fascinating and provide an excellent reading companion to the fictional portrayal of the convalescent home in Downton Abbey. The war years are etched in history and eventually the fighting ceased. Many of the staff at Highclere had volunteered and not all came back. Lady Carnarvon returned the Castle back into a family home. The end of the First World War signalled the return to Egypt for her husband the 5th Earl of Carnarvon. The book then takes up the story of this remarkable man, who with Howard Carter discovered the tomb of Tutankhamun in 1922. Sometimes fact is even more extraordinary than fiction! To purchase one of Lady Carnarvon’s books please go to Amazon or special signed hard backs are available at the Highclere gift shop. Come and stay and tour - find out more about the Grotto Lodge?